In the last 30 years, China has gone from a sleeping giant to a global superpower. The pace of economic change and transformation in China has been extremely rapid. China’s extraordinary economic performance has been driven by changes in government policies, economic liberalization, structural reforms and strong domestic demands. With the agricultural sector going through the transformation more than two decades ago, this gradually extended to other industries. Allowing individuals to own limited liability corporations, promote foreign direct investment, and removing the state export trading monopoly all have contributed to this significant growth. With a total population currently around 1.38 billion, new and emerging Chinese consumers are driving the demand for world-class goods and services. Coupled with the signing of The China Australia Free Trade Agreement (ChAFTA), these are setting great foundations for Australian companies. Over the years, the demand in China has moved from the mining boom to dining boom, along with demand for services such as financial, transport, education, professional services & green industries expected to experience significant growth in the near future. It is important to note that China is constantly changing. It’s one of the most competitive market places in the world, where you will find yourself not only competing with every competitor in the world, but also competing with sophisticated Chinese companies. Take the popular car-hailing app Uber for example, it has to compete with increasingly popular companies such as Didi Chuxing (滴滴出行), Yidao Yongche（易到用车）& Shenzhou Zhuanche (神州专车) just to name a few. So how do you enter such a large and competitive market? 11. Consult organisations such as Australia Trade Commission, NSW Trade & Investment, The Australia China Business Council just to name a few. 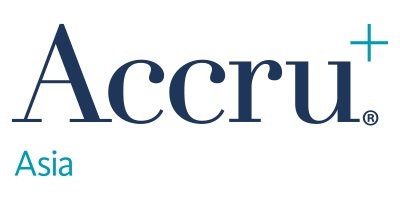 Accru Asia firms work closely together to help ensure our clients’ entry into the Chinese market is a success. Clients find our knowledge of Chinese languages and business culture valuable in streamlining their China business dealings. Please contact us to find out more.